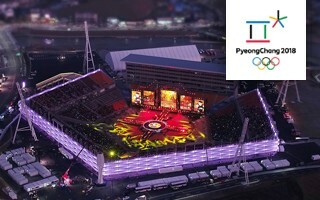 Some mock the Koreans for building a stadium just for 4 events. But it's no laughing matter. As imperfect as it is, there's hardly a better solution for this year's Winter Olympics. After all, it will soon be gone. It's almost a tradition nowadays that every main stadium built for the Olympics has two major controversies. First: who will make proper use of it afterwards? Second, how can you spend so much on a white elephant?! Good news for Pyeongchang, none of these questions applies directly in their case. But a different one emerges: how can you spend so much on something built for just 4 events?! 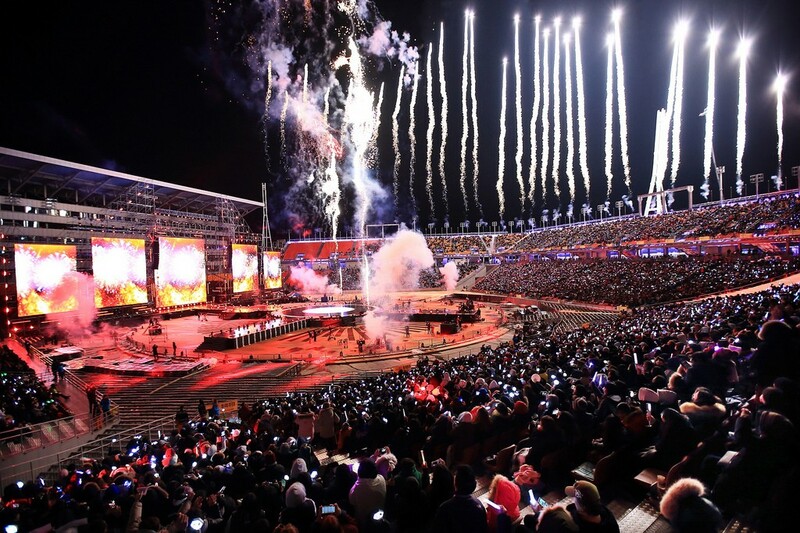 The simplified logic by critics of the Pyeongchang stadium scheme works this way: the Koreans have built a temporary stadium for just 4 events, the opening and closing ceremonies of the Olympics (February) and Paralympics (March). It consumed a massive amount of 116 billion won (or $106 million), which means over $26 million per event. It's a good headline or clickbait, not necessarily the best line of arguing. The truth is like a facebook relationship status: it's complicated. When Pyeongchang launched its third bid for the Winter Olympics, they weren't planning to build this stadium at all. The initial plan was to transform the existing Alpensia Stadium by adding temporary stands and boosting capacity to massive 60,000. After the Olympics it would be reverted to roughly the current size of 11,000. This would have solved one major issue: legacy. 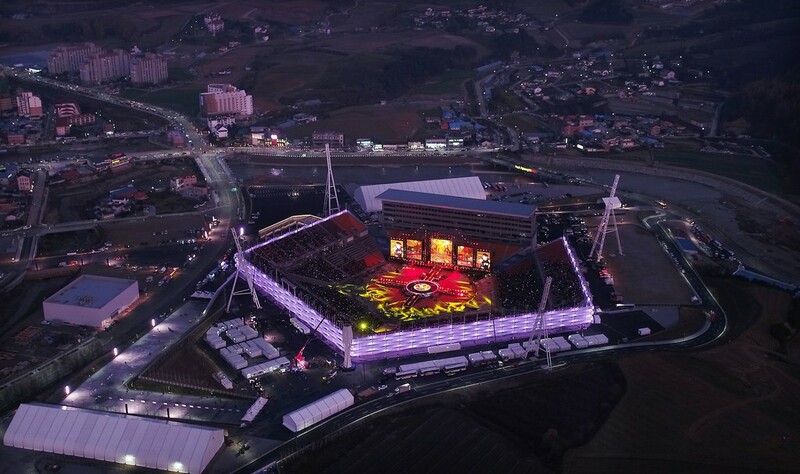 After all, Alpensia Stadium is already a football field and ski jump, used regularly for both disciplines. That said, it would even increase the financial issue due to the location's complexity and sheer scale of 60,000 seats. And, adding to that, Alpensia was initially expected to operate as a sports venue, not just for ceremonies. Logistically it would have been a nightmare. When Pyeongchang was awarded the hosting rights, another Korean city was preparing for its own major tournament. Incheon hosted the 2014 Asian Games. The city was already known for its 2002 World Cup role, for which the lavish Munhak Stadium was built, later left with little use. And yet for 2014 a completely new, even larger stadium was erected. Reality proved far worse, though. It turns out that such conversion would be very costly and no optimal use for removed areas of the stadium was found. At the end of the day Incheon was left with another white elephant, which cost 480 billion to build ($440m) and has only hosted a handfull of events since 2014, running on a huge loss. Just like in Austria's Euro 2008, removing the temporary parts proved more challenging than thought before. That's part of the reason why Pyeongchang decided to change the strategy. Instead of conversion to an Olympic stadium and back to football and ski jumping, Alpensia Stadium was left intact. This is where the current stadium comes in, decided upon only in 2014, 3 years after Pyeongchang was selected. Capacity was initially dropped from 60,000 to 40,000. Location of old athletic stadium was chosen for the new stadium, which took 22 months to deliver. 22 months is long for a temporary structure. Part of the reason is that it's not really that temporary. The main grandstand (east) has 7 floors above ground and one more under ground. 3 of those 7 floors will remain in the long run, creating exhibition and office space for future use. What will be gone are the four other stands. Yes, four. It was decided that pentagonal shape will be a good way to go. Symbolically it refers to the five rings and main values of the Olympic movement. More practically it's cheaper than a circular temporary structure and more compact than a rectangular one. The planned size was later cut further during planning. Capacity went down from 40,000 to 35,000 and floor space from nearly 60,000 m2 to just over 55,000 m2. Further cost-saving measures included leaving the stands uncovered despite snowfall risk. No full heating system has been installed as well. Together with imperfect wind protection this causes major concern over fans' comfort during the Olympic and Paralympic events. To avoid cases of hypothermia viewers will be given blankets, handwarmers and raincoats, while 40 heaters and 18 heated rooms will be provided across the stadium. Still, if someone wants to sit through the entire ceremony, it might get extremely uncomfortable. In case you're unsure what to think: Pyengchang Olympic Stadium is by no means a model solution for a temporary tournament venue. It could have been, had the Koreans managed to stay within its initial budget of 63.5 billion (reminder: final cost was 116 billion won). Not only the price is problematic. Level of spectator comfort for those 4 events is arguable. And yet it has one major advantage: it will soon be gone. Leaving a venue of 35,000 in a town of under 45,000 would be unreasonable. And when you take into account that remaining Olympic venues in Pyeongchang are expected to run at a 14 billion won loss every year (and only if revenue goals are reached! ), the 116-billion temporary stadium doesn't sound that bad.